RLG INNOVATIONS ARE THE LEADING RACING HOVERCRAFT MANUFACTURER WITHIN THE UK. We specialise in manufacturing hulls and components using advanced composite materials to extremely high standards. We Produce Championship winning craft for the UK, European and World Race Series. RLG-Innovations are now breaking into the world of cruising, offering a new aproach to this industry. Bringing racing technogly into the recreational scene, with fresh ideas and the latest technology in composite maufacture. Manufacturer or Leisure, Commercial and High Performance Hovercraft from 1 to 9 seats. Producing Championship winning craft for the UK, European and World Race Series. The British Hovercraft Company Ltd (BHC) is Europe’s largest manufacturer of recreational, commercial, rescue and utility hovercraft. We employ 18 people at our UK factory and export approximately 150 craft per year through our agents and distributors all around the world. In 2013, we were formative members of the Hovercraft Manufacturers Association (https://www.hovercraftma.com/) and have since lead the industry drive resulting in the 2015 Hovercraft Code of Practice. The Snapper is the ‘Go-Kart’ of the hovercraft world! 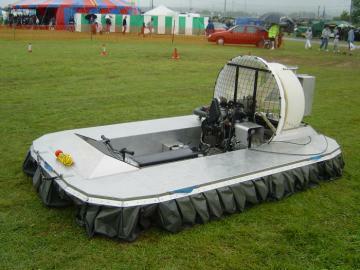 Single seat, an ideal first recreational hovercraft, used by most UK driving events businesses. The Marlin and Marlin ‘Beast’ are the world’s best selling 2-3 seat recreational hovercraft. The Marlin is more basic and lower priced, the ‘Beast’ is a highly appointed sports recreational cruiser as driven by Jeremy Clarkson to open the Clarkson, Hammond, May LIVE Show! This is the ultimate weekend toy for club cruising events. The Coastal-Pro is a 3-4 seat twin-engined light commercial/rescue hovercraft which also makes an excellent recreational hovercraft. At just 74dbA, the Coastal-Pro is probably the quietest production hovercraft available in Europe! Griffon Hoverwork have been involved in the design, manufacture and operation of hovercraft for over 50 years, offering pioneering new solutions, expert advice, training and consultancy. 180 Griffon Hoverwork craft operate in 41 countries, allowing us to provide a proven and reliable solution.We design and manufacture a range of diesel and hybrid powered craft to support light, medium and heavy payload needs, from 380kgs to 22.5 tonnes. All our hovercraft can be customised to meet different mission and environmental conditions, from passenger craft, to open well-decked cargo carrying craft. We have designed our hovercraft using the latest developments in hull design and manufacture. We combine a marine-grade aluminum hull with lightweight aerodynamic mouldings built to the latest international standards, all of which can be fitted with a wide variety of add-on equipment. ACV Designs – ACV Designs is committed to creating the worlds greatest small hovercraft designs. Air Commander Hovercraft – Air Commander Hovercraft of America, manufacturers of a wide range of cruising and rescue hovercraft. Amphibiousmmarine – Suppliers of Sevtec plans and kits -also manufactures a range of Sevtec based hovercraft. AKS Invest – A Russian Company. Hovercraft Manufacturers since 1996. All Surface Vehicles – Manufacturers of Hovercraft in Australia. Inlcudes RC Hovercrafts for the hobbyist too. Bill Baker Vehicles Ltd – Manufacturers of hovercraft, Banbury, Oxon. UK. Contralube – Supplier of specialist waterproofing grease for electrics. DF Dickins Associates Ltd – Consulting engineers working with organizations around the world to evaluate hovercraft applications for particular projects. http://www.epscorp.com/ – USA manufacturer of ABS-10 large hovercraft. British Hovercraft Company Ltd – Europe’s largest manufacturer of recreational, commercial, rescue and utility hovercraft. Griffon Hovercraft – Griffon Hovercraft Ltd produces the largest range of amphibious, diesel-engined hovercraft available in the world today. Haven Ports Marine and Construction Management Ltd – Haven Ports offer hovercrart for survey work in addition to offering marine construction and management services. Hi Tech International – An Italian manufacturer or rescue and leisure craft. Hov Pod – Makers of the HovPod integrated craft. Based in Southampton UK. 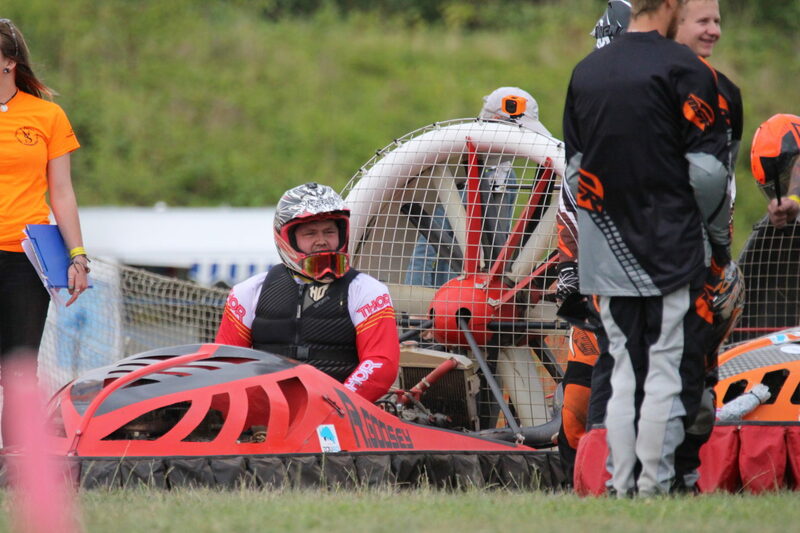 Hovercraft d.o.o – Hovercraft motor club in Slovinia. Hovercraft Consultants Ltd. – HCL designs and manufactures skirts for all sizes of hovercraft from small components up to complete skirt systems. www.hovercraft.ru – A Russian Hovercraft Manufacturer. www.hovertrans.com – Commercial hoverbarges – 20 to 300 ton payloads. Hovertravel – High Speed Passenger Hovercraft Ferry Services to the Isle of Wight. Hoverwork Ltd – Hovercraft, Sales, Charters, Maintenance and Training. 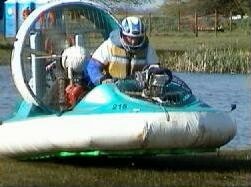 Hovery of Argentina – Manufacturers of the Light Weight ‘Hovery’ One Person Hovercraft. K&M Products – Manufacturers of light hovercraft. Suppliers of kits, plans and components. 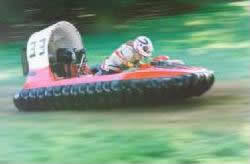 Mad Hovercraft – Manufacturer of light recreational hovercraft in Slovenia. Marine Hovercraft Technology – The website for the book: Hovercraft Technology (R.L.Trillo), published by Leonard Hill Books in 1971. N. STAVSUDDA HANDEL – Licensed Swedish Manufacturer of BBV Hovercraft, Parts and Accessories. Neoteric Hovercraft Inc – Manufacturers of High Performance Cruising Hovercraft. Northern Hovercraft Sales and Services Ltd. – We are a Canadian Dealer for Hovertechnics Inc., a large American manufacturer of hovercraft. Hovertechnics has delivered almost 800 craft to clients worldwide since 1984. Ocean Hover Ltd – The Company was set up to exploit opportunities for hovercraft with particular emphasis on the international oil and gas industry. Pacific Hovercraft NZ Ltd. – Pacific Hovercraft NZ Ltd is an international company with more than 20 years experience in the hovercraft industry. Phoenix rescue systems – Italian manufacturer of 5.4m Subaru powered hovercraft. Primarily aimed at rescue. Quicktide tide tables. – Quick and easy to use tide tables. SA – Hovercraft -Italia – Italian Producer of TUGO’ Hovercraft and Suppliers of other hovercrafts from 2 to 80 seats. The Marine Warehouse – Specialist supplier of life jackets. The Plan Depot – Design plans for hovercraft and more. Universal Hovercraft – The world’s largest supplier of hovercraft plans, kits, and parts. Illinois, USA. Vortex hovercraft – UK manufacturer of 1 to 5 seat hovercraft. So you’re thinking about buying a cruising hovercraft? There are a lot of hovercraft that comeup for sale – but not all are equal! So how do you avoid the pitfalls? I hope this will help… Before we get going, just one foreword- be careful to avoid any obviously partisan advice. Members of the HCGB (www.hovercraft.org.uk ) can offer good, impartial advice and you will find your local branch to be friendly and approachable, so drop in! There is a third category – which is a bit of both: more about that later. There are several craft types, and a discussion on this subject is well worthwhile before we get going in earnest. Most race craft that come up for sale can be recognised as such, as the seller will tell you which category they come under – one of F1, F2, F3 or F25/35. There is a very active race series run by the Hovercraft Club of Great Britain, and one of these craft could easily be an inexpensive first craft, to get you through ‘novices’, but don’t expect them to be competitive. If you would like to race, check out the HCGB website for the nearest meeting, go along and speak to the folks there – you will find them very helpful. Most race craft are well known on the ‘circuit’ and doubtless you will get the ‘lowdown’ on it, warts and all! This guide is principally aimed at cruising craft, so if you are interested in a Racer, the best thing to do is join the Club for advice. It is fair to say, not too many good cruising craft come up for sale, so you may need to be patient to find a good one. It is absolutely vital to have good advice when buying a cruiser, there are some very poor craft out there, but you just couldn’t tell without some inside knowledge. In contrast to old race craft, which are likely to be uncompetitive but workable, the dodgy cruiser could turn out to be an expensive liability that leaves you stranded on the mudflats miles from rescue! This is a hybrid racer/cruiser, and might well be an ideal introduction to the sport. You can race it, or equally it is suitable for cruising use in protected waters. Generally quite small, F25 craft can be bought for quite reasonable prices. This type of single seat (plus small child) craft may well be a good first craft, so long as you don’t want to carry passengers. A large number of these homebuilt craft come up for sale, often as neglected or unfinished projects. They can be bought for a few hundred pounds, but they are not really suited to cruising. The challenger can be recognised by the flat (usually plywood) deck, small thrust duct and segmented skirt. They usually have a small 2 stroke motorbike engine, and have been built to plans that are easily available, such as the ‘Constructors Guide’. Many people build these craft as projects and have a great time doing so, but the performance of the craft will be limited, the build quality may be variable, and it certainly is not a cruiser – it would be unsafe in all but the most protected waters. They may be raced in the HCGB series – this will be a lot of fun, but don’t expect to win! There are a number of things that you need to know about the way hovercraft works before you can make a sensible choice of craft. They are unlike any vehicle you have driven before, and the pitfalls will be unfamiliar. Unsurprisingly, safety comes at the top of the list. You will need to look for the obvious, like properly guarded rotating assemblies, adequate buoyancy in case the engine fails on water, good ‘freeboard’ (the height of the sides above the water surface), etc. Not much freeboard on race craft – they doesn’t need it! There are many other factors in the performance that contribute to a ‘safe’ cruising craft in real life, and these are covered in the sections below. Here you will become familiar with many of the terms that experienced hovercrafters talk about all the time – “plough-in”, “the hump”, to mention just a couple. Noise is a critical issue for hovercraft, some are incredibly noisy. If you own a noisy craft you will be banned, pilloried, have stones thrown at you and generally made to feel unwelcome, wherever you go! There are some craft out there that are so noisy they make a 747 seem like a whisper. You do not want to own one of these! The HCGB limits cruising craft noise to 87dB at 25m, but encourages new craft to be quieter than this – 82dB, or about the noise of a small van passing by, would be considered to be good. The reason is simple – many hovercraft venues have been lost due to excessive noise. The good news is that newer designs have been evolving that are much better in this respect. Ask the seller if they have measured the noise – if it is an HCGB registered craft, they should know the dB figure. If it is above 87dB, leave it unless you wish to do the work required to bring it within limits. Take advice – some older designs may never meet the limit and should probably be scrapped! When you are out, miles from anywhere, the last thing you need is to breakdown. There’s no RAC on the mudflats! Recovering a stricken craft can be difficult, so reliability is a big issue. Professionally built craft may be more reliable than homebuilt – but not necessarily so, if they are old and neglected. You may need to look very carefully and judge for yourself. Things to look for are low stress engines – small industrial engines, car engines or some motorbike engines can be reliable. 2 stroke engines can be unreliable – the exception to this is the Rotax microlight engines, so long as they are unmodified and in good condition. Any craft that has been used in a marine environment (most cruisers have) may well suffer from salt corrosion – often all the controls will require overhaul before reliability can be assured. Likewise, bearings and transmission belts may need replacing. The good news is that an unreliable craft can be made reliable, but it will take considerable effort and plenty of money to do so. So if in doubt, join the HCGB and ask for advice! In simple terms, freeboard is the height of the lowest part of the hull above the water when you are floating with the engine stopped. If you don’t have enough freeboard, the craft will flood very easily. Race craft (see above) have very little freeboard – they don’t need it. A cruising craft should have at least 6 inches. If it hasn’t then it won’t be much use as a cruiser! Look for high sides and front bodywork. A plough-in occurs when the front (usually, but it can happen to the side) of the craft suddenly dips down into the water, causing the craft to violently decelerate. Sometimes passengers can be thrown out of the craft – in any event, it is not good. Contrary to the assertions of some manufacturers, all hovercraft can and do plough-in. It is caused by hydrodynamic forces acting on the skirt, causing the skirt to be dragged under the craft, and this effect is practically inevitable. Most small hovercraft are very susceptible to ploughing in, and the driver will soon become skilled at predicting and preventing it. The difference between craft is how frequently and how violently they plough in, and whether it can be recovered. Good craft have a hull designed to reduce the effect of plough-in, so that when it happens you are not ejected from the craft – although there is still an uncomfortable deceleration period before control can be re-gained. The best craft have active control of plough-in using a compartmented cushion and responsive skirts. In this case, the plough-in phenomenon can be brought under control and used to effect a kind of emergency brake. When a hovercraft is at rest on water, it floats like a boat – that is, it is in ‘displacement mode’. When the craft goes to move off, it must transition from displacement mode to non-displacement (hovering) mode. The transition occurs, for a small craft, at about 8mph, and is known as ‘going over the hump’, because the craft must ride over a wave that forms in front of the craft just before ‘hump speed’. Hovercraft can consume huge amounts of fuel. The worst culprits are 2 strokes, a 50 hp 2 stroke can easily consume 5 gallons per hour. Frankly, for cruisers, 2 strokes are best avoided, look for a 4 stroke craft. There are several types of craft in common use today. A knowledge of these is vital if you are to choose a craft that will not disappoint you. This is the simplest type of craft – most craft that come up for sale are integrated. They are simple, cheap and easy to fly. In this design there is one engine and one fan. A portion of the fan air is directed under the craft to provide lift, whilst the rest is directed for thrust. The integrated design is a compromise – the requirements of a lift fan are the opposite of the requirements of a thrust fan. This makes the craft inefficient, noisy and sometime difficult to operate if set-up by an inexperienced builder. However, there are some very successful integrated craft out there, typically small craft. Integrated craft with more than about 35hp installed may have difficulty passing the HCGB noise regulations, so you will need evidence of the noise levels if you are thinking about buying such a craft for use on HCGB events. The twin fan craft uses a small fan to provide the lift air to the cushion, and a large fan or aircraft propeller to provide thrust air, with or without a duct. The fans will be powered from a single engine via an arrangement of belts or gearboxes. Typically these are larger craft, although there are successful small craft of this type. The advantage of this arrangement is that each fan can be properly designed for its function, and therefore are more efficient and quieter then integrated craft. The disadvantage, of course, is the additional complexity and potential for breakdown. A twin fan craft will be easy to drive if properly set-up. The twin engine is similar to the twin fan, except that each fan has its own engine. The transmission is simpler than the twin fan type, but there are now two engines to maintain. The twin engine design provides independent control of lift, which is useful in some circumstances. There are two methods of providing thrust, ie a ducted fan, or a propeller. In the UK the ducted fan is very popular, whilst in the USA the propeller is popular. There is some evidence that the propeller is more efficient and quieter then the ducted fan, but this is a hotly debated subject so I suggest you take advice and then decide for yourself! There are two main skirt types, ie segmented and bag, but there are many variations and hybrids. both types seem to be successful in cruisers, so it seems to come down to personal choice in the end. This type of skirt consists of many individual segments, often 70 or more to make the complete skirt. Usually the segments will be the same around the front and sides of the craft, and different at the rear, although there could be up 5 types around the craft. The advantage of the segment skirt is that is that they are stable and damage tolerant – should a segment be damaged, the neighbouring segments expand to fill the space, and in any case it is easy to change a damaged segment in the field. Should the skirt catch on something, the skirt attachment points are often designed as a weak-point, and fail before the segment tears. Re-fixing is a simple, quick but sometimes muddy job! There are a range of types of bag skirt, but all share a similar bag-like appearance. The skirt can be thought of as a large inner-tube that is formed around into the shape of the craft. Bag skirts are often cheaper and quicker to make and replace, and be reliable, as there are less ‘edges’ to catch on obstacles. Minor damage can be tolerated, and field repair is possible if needed but will take longer than changing a segment. The bag may be subject to ‘grab’ on sticky mud. This is a hybrid, designed to have the best of both worlds. A bag skirt is mounted to the craft, and a set of segments are attached to the bottom of the bag. This is the most successful but most expensive type of skirt, and is found on all large craft but few small craft. A partitioned skirt has one or more skirt dividers that run underneath the craft. These divide the cushion into compartments, usually front and rear, or front, rear and sides. Large craft rely on a compartmented cushion to provide stability, in a small craft with a single compartment, the driver must frequently shift bodyweight in order to provide the required stability. A compartmented skirt can provide for control of plough-in and relieve the driver of the need to shift around quite so much. Currently, few small craft are fitted with divider skirts. Unfortunately there is no such thing as a purpose designed hovercraft engine. The engines in use today are derived from many sectors such as the industrial, automotive, aviation and motorcycle areas. The most important thing is weight. This cannot be over-emphasised, no amount of power will make up for the extra weight of some enormous automotive V6. The performance of a craft fitted with a small 25hp garden tractor engine can be better, size for size, than the same craft fitted with a 100hp car engine. 2 strokes have favourable weight – they are incredibly light. But, for cruisers today, the disadvantages of poor reliability, high fuel consumption and high noise levels outweigh the weight advantage. There are some reliable 2 strokes, such as the Rotax microlight engine, but they still have very poor fuel consumption – a typical 50hp 500cc twin can consume 5 gallons an hour. Many would agree that two strokes are best avoided for cruising use. 4 strokes are heavier than the 2 stroke alternative, but are quieter and more efficient, and generally more reliable. A few lightweight car engines and some motorcycle (not high revving) engines are suitable. Look for all aluminium engines. Recent developments in 4 stroke microlight engines are very suitable for hovercraft, but may be a little expensive. The Briggs and Stratton, Kohler or similar industrial/garden tractor engines are suitable for small craft, say between 10 and 14 feet. Car engines are likely to be too heavy for this size of craft. Craft of 14 feet and upwards may be suited to the lightweight car engines, such as the Subaru flat fours, or Suzuki 3 cylinder engines. There are a number of methods of hull construction, each with advantages and disadvantages. The first hovercraft were constructed from aluminium using aircraft methods. Disadvantages: Tends to be heavy. Expensive. Glass reinforce plastic, or glassfibre, is the most common hull material for professionally built craft. Disadvantages: Needs a mould, lots of space and some skill. Suited to professional manufacturers. Can be heavy. Advantages: Complex shapes can be manufactured easily, good strength to weight, robust and repairable, doesn’t corrode. Excellent pedigree. A layer of high density PU foam has a lightweight GRP cloth bonded on both sides. Advantages: Extremely stiff, light and strong material. Suited to home-build or professional build. Provides the best strength to weight of the common construction methods. means these hull are not cheap. This is the traditional home-build material. Advantages: Can be a light, cheap and easily constructed material, suited to moderate skill levels. constructor. Can be heavy if the wrong grades are chosen. Will rot in time. Large blocks of polystyrene foam are carved into the required shape and covered with glass fibre cloth and epoxy resin. Advantages: Complex shapes can be made as one-offs. Light and strong. Disadvantages: Expensive and labour intensive. What does this mean? Essentially, where did the craft come from… there have been many hovercraft manufacturers, ranging from excellent to poor, and in addition many craft have been home-built, again to variable standards. High quality professional cruising craft or 3 seats or more do not come up for sale very often, and when they do, they command a price starting at several thousands of pounds. By contrast, many ‘Challenger’ style home built craft come up for sale, and whilst they can be had for a few hundred pounds, they are probably best avoided, unless you simply want a fun toy to fly around the paddock on! In between are a few small craft which can make a sensible ‘starter’ craft, such as the Osprey 1, and will probably cost somewhere between one and two thousand pounds. Occasional larger home-built craft come up for sale, and where built to established plans, such as the well known Universal Hovercraft or SevTec, these can be a very good buy, provided that the build quality is good. As ever, join the club and seek advice before parting with your money. There are a number of points that should be looked for in a second hand craft – here are a few things to out look for. The skirt on a hovercraft has a limited life – like the tyres in a car. Many craft will come up for sale with well worn skirts. This isn’t a disaster, but the cost of a new skirt can be high – £350 and upwards, so be prepared for the expense. Old bag skirts will be recognised by the presence of multiple repairs and patches, together with wear on the ground contact line. Worn-out segment skirts will be seen to have a frayed and torn lower edge (where it meets the ground) with the backing material showing through the rubber. Hulls have frequently suffered damage from minor collisions, abrasion and so on. Look for the signs of repairs. The place you really must look is underneath, as damage here is likely and you don’t want to find it when floating without power in a choppy estuary! The good news is that GRP can be repaired fairly easily – but it has to be worth a negotiation with the seller. Checking the engine is similar to any motorbike or car – but more so. Hovercraft engines get a hard life, so take someone who knows engines with you. In addition to the usual things, look out for salt corrosion if the craft has been used on the sea. Old and perished fans can be dangerous. If the blades have turned green, this indicates deterioration due to UV light, and they will have to be replaced, at around £70 – £150 per set. With propellers, check for signs of erosion on the leading edge, caused by sand and grit in the air flow literally sand blasting the edge. Belts are often used – and should be checked carefully for fraying, cracking or other damage. You may choose to replace it anyway once you own the craft – they are well known for breaking, I like to know that mine is in good condition. Check for play and roughness in bearings. Controls often rely on long bowden cables, which can suffer from salt corrosion. Check for free operation and frayed ends, and replace if in doubt. Check guards for security and strength, and if you intend to use the craft at HCGB events, that they meet the current construction regulations.